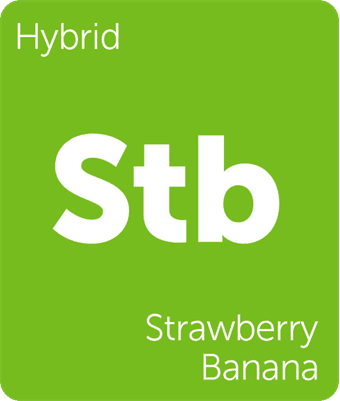 Strawnana (also known as: Strawberry Banana) is a fruity, indica dominant hybrid – formed by crossing Banana Kush with a strawberry phenotype of Bubble Gum. With hints of fresh fruit and yogurt – the sweet berry scent of strawberries is met with creamy notes of banana, leaving a lasting taste that boasts some of nature’s most enjoyable aromas. Our Strawnana strain contains a blend of the following terpenes: Limonene, Beta Caryophyllene, Myrcene, Alpha Pinene, Beta Pinene, Ocimene, Fenchol as well as 17 other terpenes!